Moving to Kuwait from the USA is more popular than ever because of the many opportunities for expats there. With both tax-free income and high salaries, Kuwait definitely offers a good reason to relocate. Many people wonder how to move to Kuwait and Schumacher Cargo Logistics is here to guide them through that process. Since 1977, Schumacher has completed moves all over the world. With our experience, we have streamlined the international moving process. This has allowed us to deliver the best value for our customers to destinations worldwide. The process for how to move to Kuwait is straightforward with the right information. Read the Kuwait moving guide below to find out how to have a stress free relocation to the Middle East. Before starting your move, you should calculate an estimate for the volume of goods you will be shipping. Consolidated shipping allows us to charge based on the amount of space the goods will take up. This gives our customers the chance to ship goods without needing to fill a whole container. We have preset volume amounts to choose from 10 boxes to a 4+ bedroom house. If you want a more detailed estimate, we also have a HHG Volume Calculator to itemize goods. The price to move to Kuwait varies based on the individual details of the shipment. This is because factors like origin/destination and amount of goods all play a part in the cost. For that reason, our representatives create custom quotes for the specifics of each move. To get the price for your move to Kuwait, please fill our Online Quote Form. Similarly, you can call in at 1-800-599-0190 to talk to one of our relocation representatives today. Once you agree to the quote, we can begin the export process to move your household goods to Kuwait. The next step is taking the goods to one of our warehouses. Our relocation team can pick up the items from a home anywhere in the US and deliver them to the nearest port. Alternatively, you can deliver them to one of our warehouses yourself. Then the container is prepared and ships once it is ready to go. After the vessel departs, you will be sent a notification and the Bill of Lading confirming departure with an estimate ETA. As your goods arrive, they enter the custom clearance process. Your goods will complete the import process in Kuwait and then be moved to a warehouse for removal. We will then deliver the goods to your new home, or you can also pick them up from the warehouse. Your move to Kuwait is complete and all that’s left is to enjoy your time overseas. Americans living in Kuwait will find that adjusting to life there is not too difficult. Since a majority of their population is expats, Kuwait has developed many resources for foreign guests. Arabic is the national language, though most expats don’t have any issue. In areas dense with expats, you can expect most people to speak English. Expats in Kuwait can also find English speaking communities all over the country. Living accommodations are abundant, but companies generally provide the housing in Kuwait. These are usually high rise apartments or condo flats which have the amenities like in the US. Then if you move your items with you, it will be just like living at home. Unfortunately foreigners cannot own land meaning that it is only possible to rent in Kuwait. This doesn’t bother most as their housing is modern and spacious. 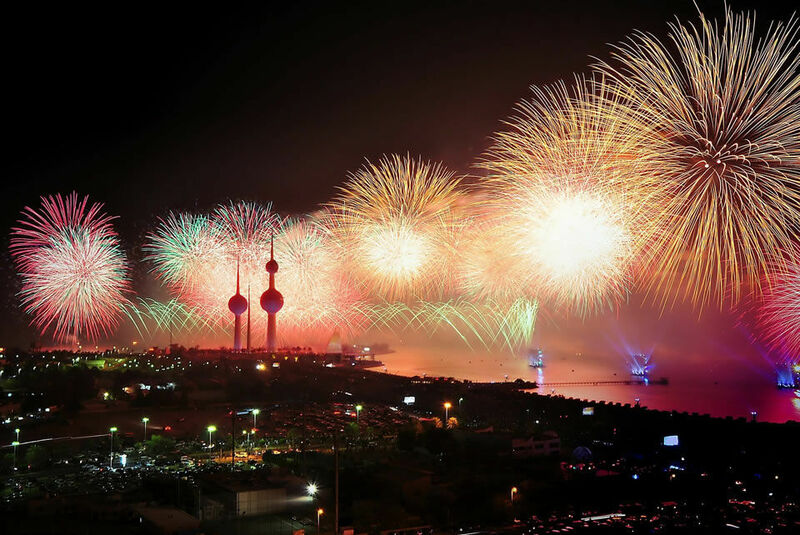 Most American expats relocating to Kuwait will be moving to Kuwait City, Hawalli, Salmiyah, Jahra, and Safat. These cities have a majority of the expats and are where the multinational companies are. Each has different offerings such as Safat’s super luxury lifestyle or Salmiya’s huge shopping centers. We can move to any other city in Kuwait, but these are the most popular for Americans staying there.